Blue and white porcelains, traditional Chinese elements and the perfect combination of modern technology, with strong coloring, hair color and bright, the colorimetric characteristics of stability, tire delicate enamel ornamentation, color clear, green and dripping, from the inside out reveals through the simple strength of character of a transgression, a quiet elegance years, a flexible adherence. Terracotta booming prosperity and a symbol of good luck, blue and white is a symbol of endless waves of strong. Firing:High temperature fired painted porcelain, under-glaze blue will present beautiful. The barrel and cap products are produced using traditional technology blue, cobalt blue and white porcelain pen on the use of natural materials in the decorative painting on the Pak Nai, and then cover with a transparent glaze, then fired in a high temperature 1300 degrees Celsius, so that the full pigment penetrate into the glaze, showing green to drop the blue pattern, appears quiet Qian beautiful, bright and clean elegance. 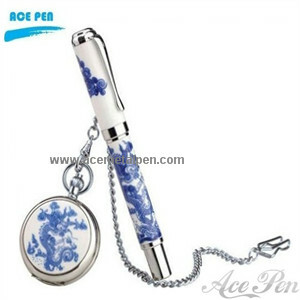 Luxury Gift Blue and White Porcelain Pen,The body and cap of pen adopts traditional blue-white porcelain technology, which is painted with natural cobalt materials on white clay, and then covered with transparent glazes and broiled in high temperature of 1300 degrees to make pigment fully permeate in glazes, appearing blue decorative patterns, delicate and elegant, bright and exquisite. 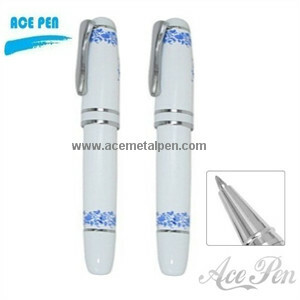 Blue and White Porcelain Pens with high quality and elegant design.These pens are of classical style, elegant design and in good taste.This pen is perfectly suitable as gift,also for promotion.Its elegance and beauty is attractive.And you will never regret to choose this pen.We are able to make any metal pens per your request,you only need to offer us the sample,or your blueprint.Welcome to order,Ace Pen is honestly at your service. 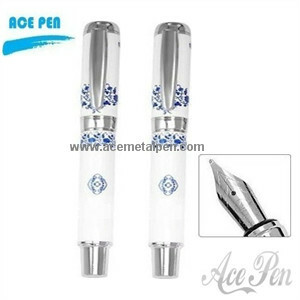 Hot-sale new style Blue and White Porcelain Pens.This pen with noble and graceful design and an elegant style and feel.This is an impressive, glitzy and dazzling fine writing instrument.High quality Blue and White Porcelain Pens directly from China factory-Ace Pen. 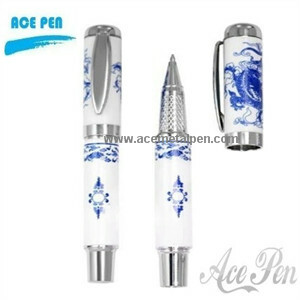 wholesale Blue and white porcelain ball pen with high quality and fashion design. this elegant pen is a porcelain piece of art. 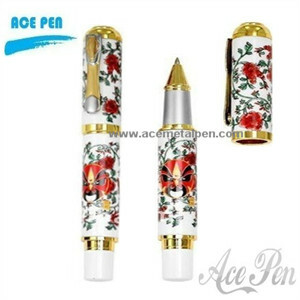 Each pen comes in a gift box.It is a good Gift for financial business/Government/Hotel/IT, Friends' Gift, Relatives' Gift, Birthday Gift business gifts Christmas gifts birthday gift. 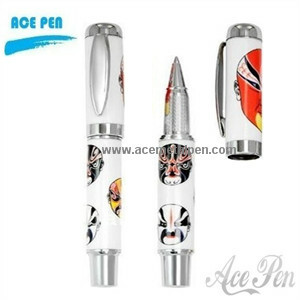 Ace Pen Enterprise Limited is a comprehensive writing pen manufacturer specialized in metal pen design, manufacturing, wholesale and retail. 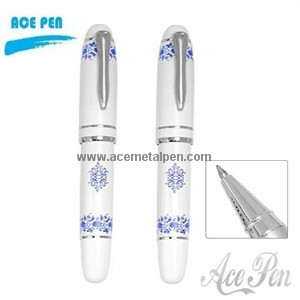 Gift Pen Luxury New Blue And White Porcelain Pen from china professional metal pen supplier and manufacturer-Ace Metal Pen.This metal ball pen is perfectly suitable as gift,also for promotion.Its elegance and beauty is attractive. Blue and white porcelain, traditional Chinese elements and the perfect combination of modern technology, with strong coloring, hair color and bright, the colorimetric characteristics of stability, tire delicate enamel ornamentation, color clear, green and dripping, from the inside out reveals through the simple strength of character of a transgression, a quiet elegance years, a flexible adherence. Terracotta booming prosperity and a symbol of good luck, blue and white is a symbol of endless waves of strong. Blue and white porcelain with Dragon Pattern, traditional Chinese elements and the perfect combination of modern technology, with strong coloring, hair color and bright, the colorimetric characteristics of stability, tire delicate enamel ornamentation, color clear, green and dripping, from the inside out reveals through the simple strength of character of a transgression, a quiet elegance years, a flexible adherence. 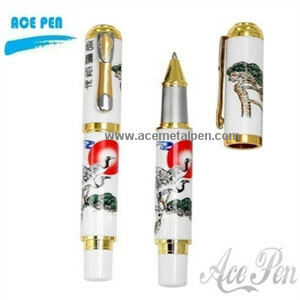 Terracotta booming prosperity and a symbol of good luck, blue and white is a symbol of endless waves of strong.Intricately designed with a flying dragon and flower motif, this elegant pen is a porcelain piece of art. Each pen comes in a gift box. 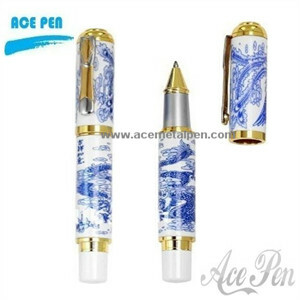 Personalized Luxury China business Gifts Blue and White Porcelain Pen.this elegant pen is a porcelain piece of art.The technology of Chinese Blue and White art is the use of natural materials paints on the Pak Nai, and covers with a transparent glaze. It will be finished under the firing temperature 1300'C, so that pigment can fully permeate into the glaze, showing a pattern of shimming turquoise blue. 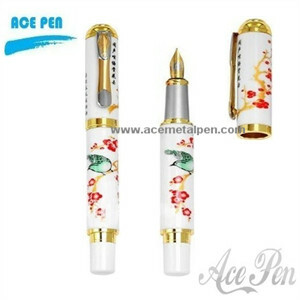 Top-Grade Blue and White Porcelain Pens, Fine Writing Instruments.The barrel and cap products are produced using traditional technology blue, cobalt blue and white porcelain pen on the use of natural materials in the decorative painting on the Pak Nai, and then cover with a transparent glaze, then fired in a high temperature 1300 degrees Celsius, so that the full pigment penetrate into the glaze, showing green to drop the blue pattern, appears quiet Qian beautiful, bright and clean elegance.